It’s just about time to start thinking about Omaha lawn care and maintenance. 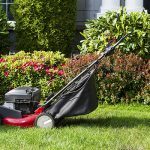 While the tasks associated with caring for a lawn are basic – weekly mowing and trimming, regular watering and periodic fertilizing and weed control – it can be a lot more than a typical “do it yourself” person is prepared to handle. In fact, it takes a great deal of time and know-how to maintain a lawn properly, and several things should be considered. Listed below are just a few of the reasons why homeowners decide the time they save, and the results received far outweigh the price paid for regular Omaha lawn maintenance services. The soil in Omaha varies greatly from one location to another and can significantly impact the health of your lawn. Above & Beyond CGM has broad experience providing Omaha lawn care in our area, diagnosing lawn problems and using the professional products best suited to handle them. “Over-the-counter” lawn fertilizers and weed preparations aren’t always formulated for the problems we encounter here in Omaha and can sometimes do more harm than good. Using proper application processes, dialing in on the right chemical concentrations and knowing the right time to apply them is a real benefit of using a professional Omaha lawn service. Call today to get on Above & Beyond CGM’s calendar and let us take care of the timing and details. Owning a mower is the easy part; knowing how to use and maintain it properly is another thing. We find that many homeowners tend to set the mower height too low, which can stress the grass. A dull or nicked blade can tear grass blades which also leaves your lawn more susceptible to weeds, disease, and insects. Purchasing and maintaining lawn equipment can also add to your bottom line cost. Regular oil changes, engine tune-ups, and mower blade sharpening must be done if you want to keep your lawn looking great. All of this takes time, money and effort. When you sit down and add up the total cost of taking a DIY approach to lawn care, you may quickly conclude that this is a chore better left to a professional Omaha lawn care service. If you’re ready to take the next step and would like to get on our calendar, there’s no better time than now to call Above & Beyond CGM at (402) 934-8866.